We are happy to announce that we got the chance to talk to yet another great personality, who we would like to introduce to you in our Featured section. Ori Friedman is a truly inspiring and dedicated researcher who got involved in the topic of ownership when he was studying people’s mental states and realized that many interesting elements were equally related to children’s reasoning about ownership, a topic that hardly anybody looked into at the time. Unlike our previous candidates, Ori approaches the topic from a purely psychological perspective and demonstrates how diverse and broad the topic can be. 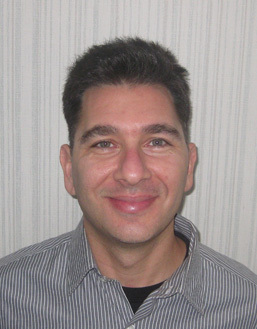 Receiving his PhD in psychology at Boston College, he is now an Associate Professor at the University of Waterloo, Canada and mainly involved in social cognitive development, conceptual development, and related topics. More specifically, he investigates how children and adults reason about ownership of property, pretense and fiction. In his featured interview, which you can read here, Ori talks about his interests and research foci, about the complexity of the topic and reveals his take on the future of ownership. Click here for the full interview. This entry was posted in Featured and tagged developmental psychology, friedman, interview, ori friedman, ownership, psychology. Bookmark the permalink. ← We wish you all a Merry Christmas & a Happy New Year 2015! I find Ori’s proposition that children are naturally or developmentally predisposed to have a bias toward first possession as a basis for legitimate ownership rights very interesting, but I’d really like to see the idea explored with some more critical and creative thinking. I actually think it’s a subject that deserves some attention because the concept of ownership is a social concept, it’s a moral issue for society, and the question of who owns what or should own what is a fundamental difference between different economic systems, for example capitalism vs. socialism vs. communism. So it is my opinion that exploring and understanding how we arrive at our moral viewpoint in regard to ownership can help explain why one concept of ownership (for example private ownership vs. collective ownership) may have certain practical applications in certain situations. I think it is a subject that could get more attention if somehow all of these other topics were included in the discussion.